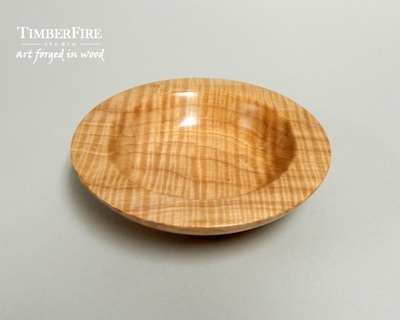 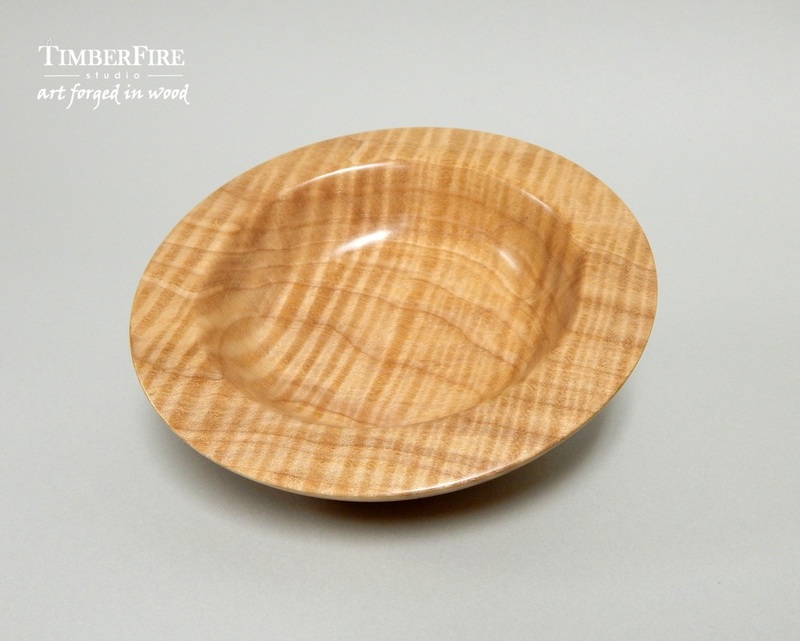 This tiger striped Maple bowl displays incredible figure and chatoyancy. 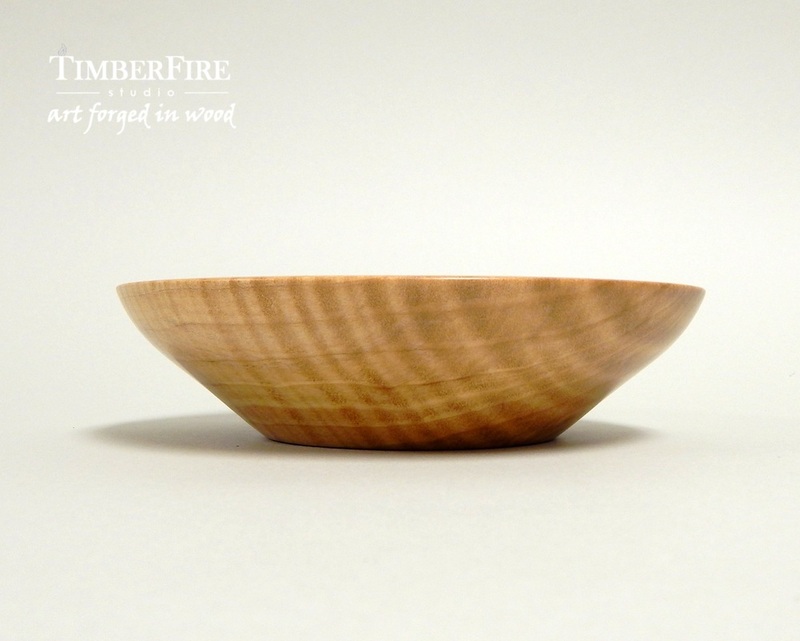 The form is simple but classic and would be equally at home in a rustic farm house or an upscale town house. 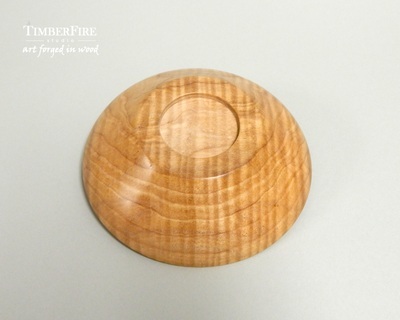 It was finished with a friction polish while still on the lathe.